If you want beauty and flair this Holiday Season, one delightful place for the RV family to visit is Virginia’s Historic Triangle that includes Williamsburg, Jamestown and Yorktown. American History is brought to life in this unique area located midway between Richmond and Virginia Beach, about 150 miles south of Washington, DC. "Here you’ll find enduring traditions, charming decorations, and a season that still warms the heart." 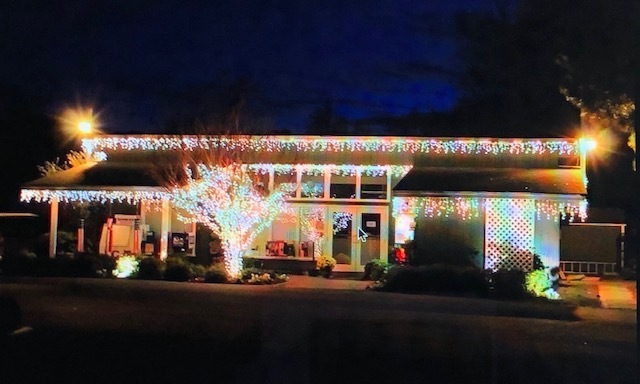 One visit and you’ll quickly see why visitors "come from near and far to take in the festivities while making memories that last a lifetime," promise the folks at the Regional Visitor Center. 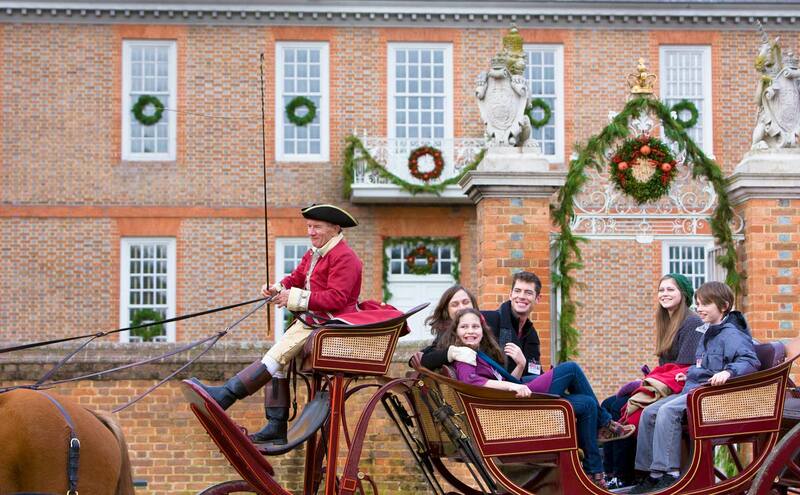 Colonial Williamsburg includes a 300-acre historic area that attracts nearly one million visitors every year. There are literally hundreds of RV Short Stops in the Historic Triangle. A few of my favorite stops in Williamsburg were the blacksmith shop, bakery, and live enactments of significant moments of America’s past. Another fond memory is the hours we spent simply strolling the same paths and streets that George Washington walked. We downed a pint of ale in King’s Arms Tavern. And, we literally gawked at the dozens of magnificently restored buildings. 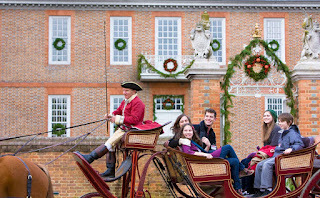 To "Celebrate the Holiday Season in Colonial Williamsburg" ... Click here ... for the 28-page 2018 Holiday Planner for more than 100 musical, dining and cultural programs. Don't overlook side trips to the Jamestown settlement and Yorktown battleground for a full historical experience. 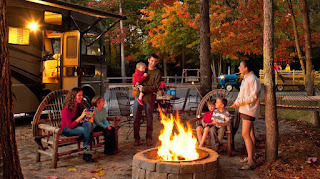 Stay at the American Heritage RV Park amid 70 acres of lush green meadows and woodlands. "Every site features easy pull-thru’s, full hookups, room for all your slides, concrete pad and patio," and they are pet friendly. Located in Virginia’s Historic Triangle, the 180-acre Williamsburg KOA is minutes away from Colonial Williamsburg, Jamestown and Yorktown. For your convenience, discounted attraction tickets are sold in the General Store.